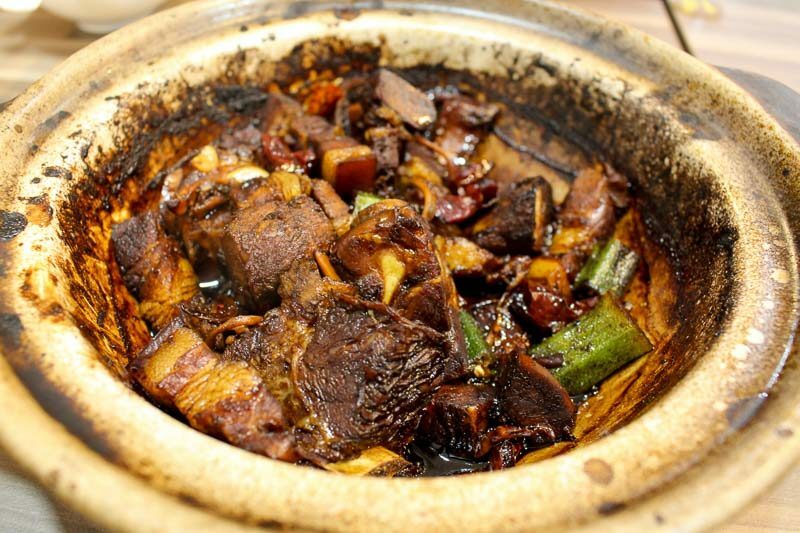 Peppery Teochew bak kut teh vs. herbal Hokkien bak kut teh — which side are you on? 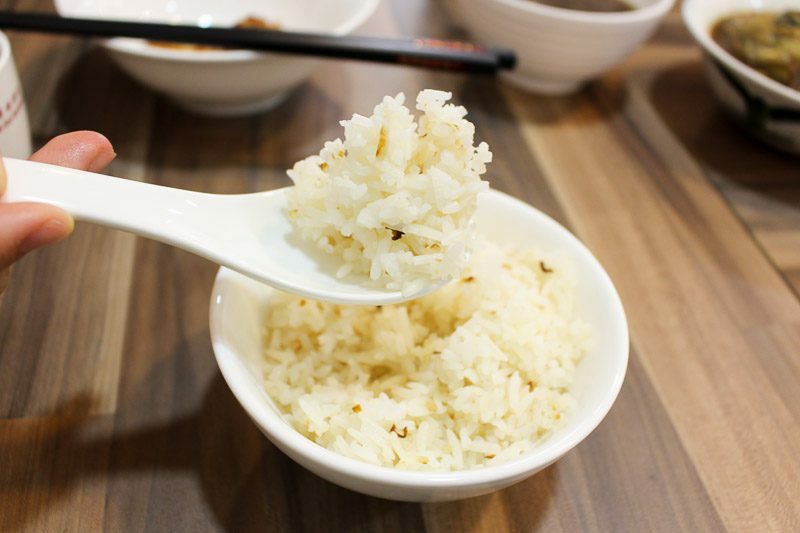 Being a Teochew myself, I’ve always opted for the former as it is also more commonly found in Singapore. I’ve tried the herbal rendition a couple of times, but it’s always too intense for my liking. 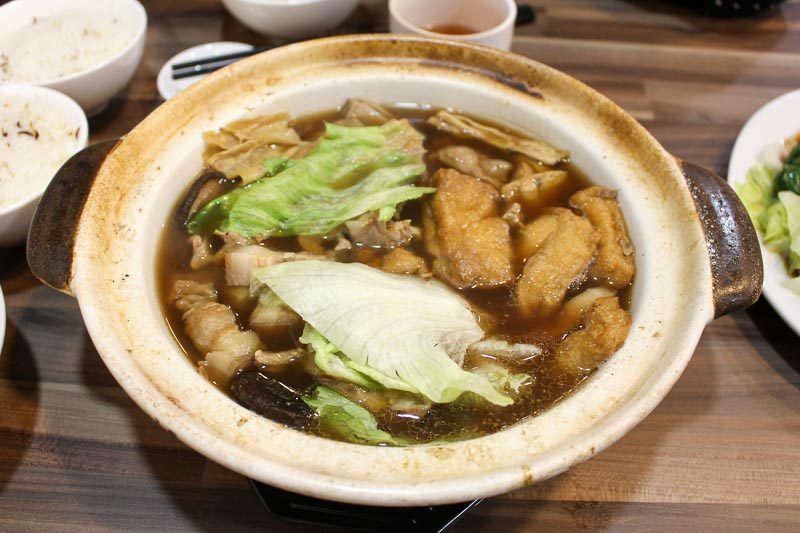 Recently, I discovered Good Taste Bak Kut Teh located at 39 Neil Road. 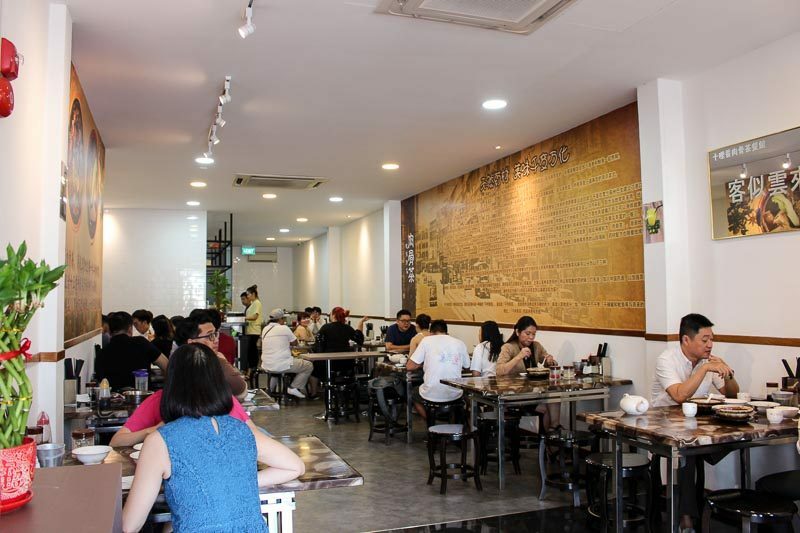 They were said to be the oldest bak kut teh brand in Sarawak and has recently expanded to Singapore, its first overseas outlet outside of Malaysia. I was intrigued by their long history and found a reason to give the herbal version a try again. 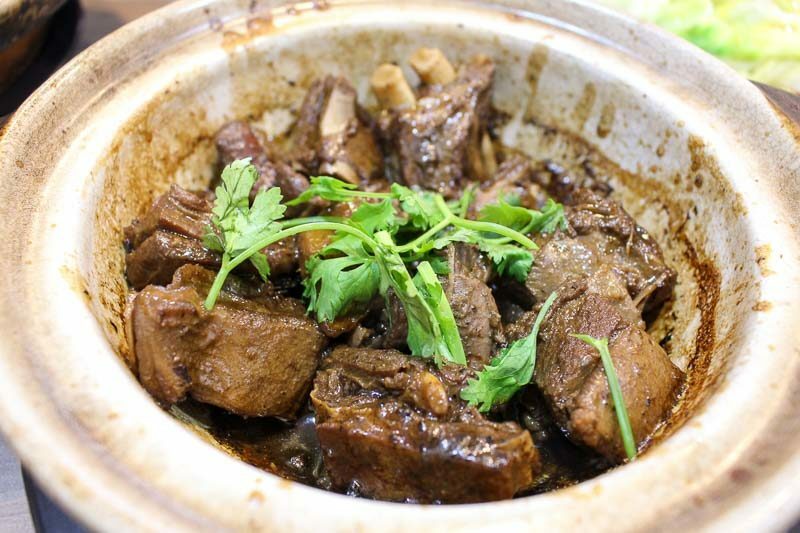 Good Taste Bak Kut Teh is about a 10-minute walk away from either Outram or Tanjong Pagar MRT. 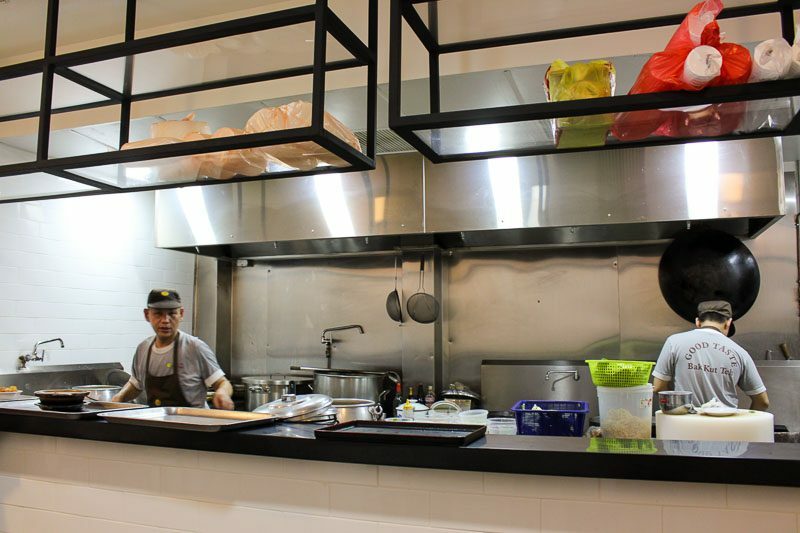 When I entered the shop, I was pretty glad that it was cooling and spacious, unlike some bak kut teh places I’ve been to that’s cramped and stuffy. We chose a seat at the back, near the open kitchen concept, which is rare these days especially for Chinese cuisine. We were given the menu promptly, which was extensive for a place that specialises in bak kut teh. With some recommendations, we decided to get a variety of their signature dishes. 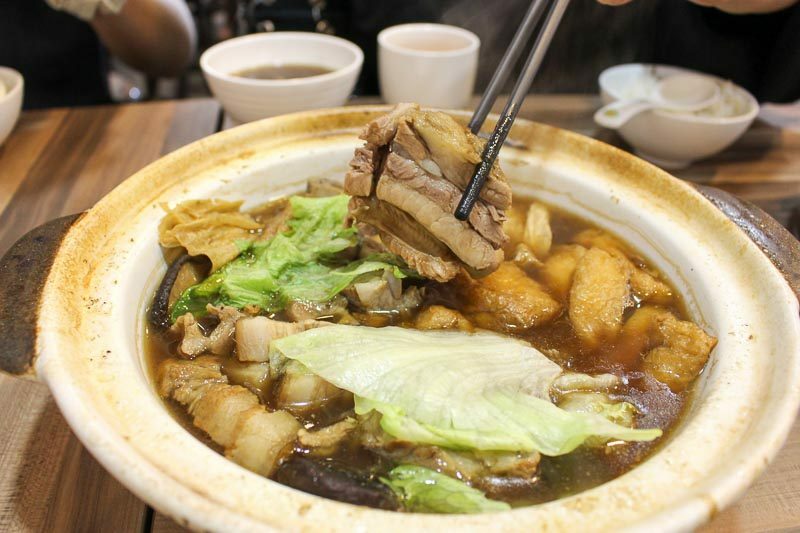 The first dish that arrived was the classic clay pot Bak Kut Teh Mix (S$10 for small, S$18 for medium and S$27 for large). I was greeted by the fragrant whiff of the broth as it was brought to our table. Looking at the slightly darker hues, I was slightly worried it would be too overpowering for me. However, I was relieved the moment I took a sip of the warm, savoury soup. 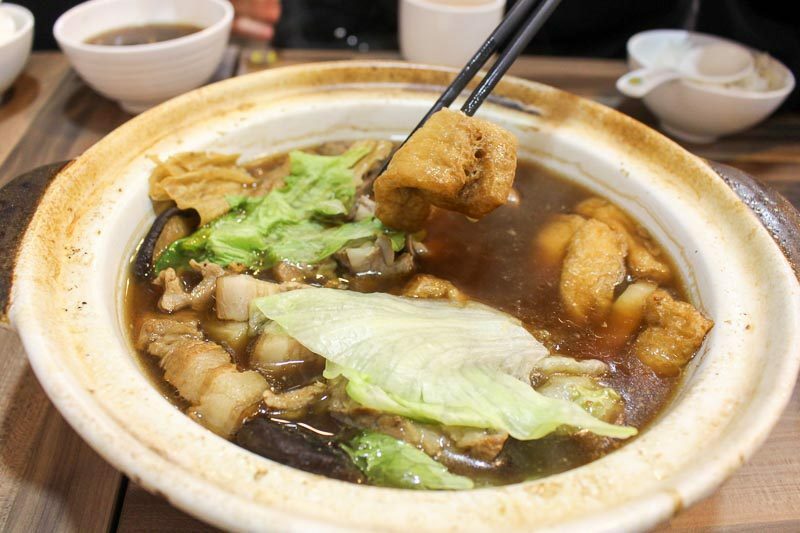 It reminded me of a combination of the peppery bak kut teh broth and herbal chicken soup. Rich and tasty whilst still being light and appetizing, it completely changed my preconceived notions of herbal bak kut teh. The boss explained that the soup base was made with 15 different spices, all imported from Guangzhou. He also boils them in batches for over two hours to ensure the same consistency throughout. Scooping up the ingredients, I was impressed at the plethora of ingredients inside the clay pot. Besides the usual pork ribs, there were pork belly slices, tau pok, tau kee, two types of mushrooms, intestines and lettuce. The pork ribs were chopped up into bite-sized pieces as opposed to the entire long rib so they can be enjoyed more easily. The pork ribs were tender, sweet with a light medicinal tang and fell off the bone easily. One of my favourite components of the dish was the tau pok, which soaked up the broth like a sponge. When I bit into it, the fragrant soup exploded in my mouth. We also got the Dry Bak Kut Teh (S$10 for small, S$18 for medium and S$27 for large), which had similar ingredients cooked in their secret dark sauce. It was very fragrant and had more dimension to it as compared to the soup variation, perhaps due to the addition of cuttlefish shreds and dried chillis. Don’t be intimidated by its look, it’s not spicy at all. My only gripe was that the sauce is slightly on the saltier side, so do ensure you get this for sharing or it can get slightly jelak. Those who love innards, you definitely have to get a bowl of Pork Intestines (S$7 for small, S$9 for medium), which was well-cleaned without any residue smell. The intestines were stuffed into one another, forming three layers that gave it more texture and I enjoyed the chewiness of it. We also got the Black Pepper Lamb (S$12 for small, S$24 for medium, S$36 for large). 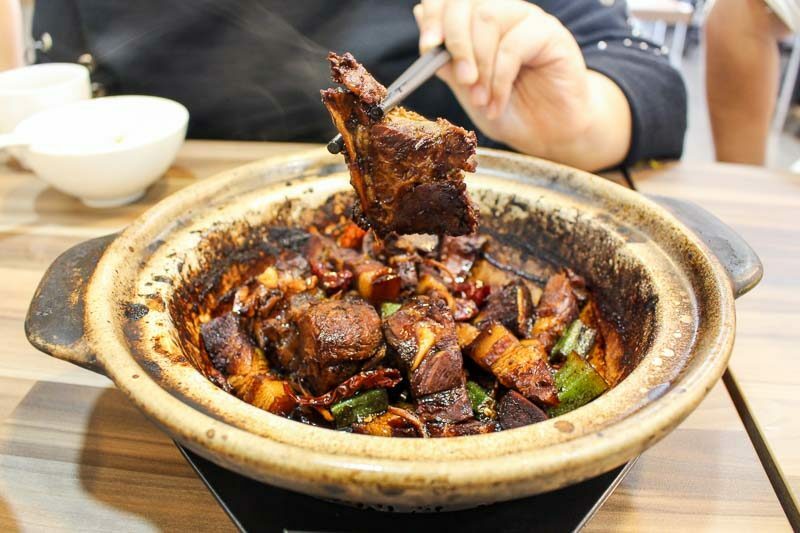 To my surprise, Good Taste Bak Kut Teh has managed to mask the gaminess of the meat well, perhaps from the generous use of spices. The meat itself was succulent as well. The highlight of my meal was actually the Youtiao (S$1.50 for small, S$2.50 for medium), a must-order at every bak kut teh meal. There’s just something about enjoying it soaked in the broth that is so satisfying. 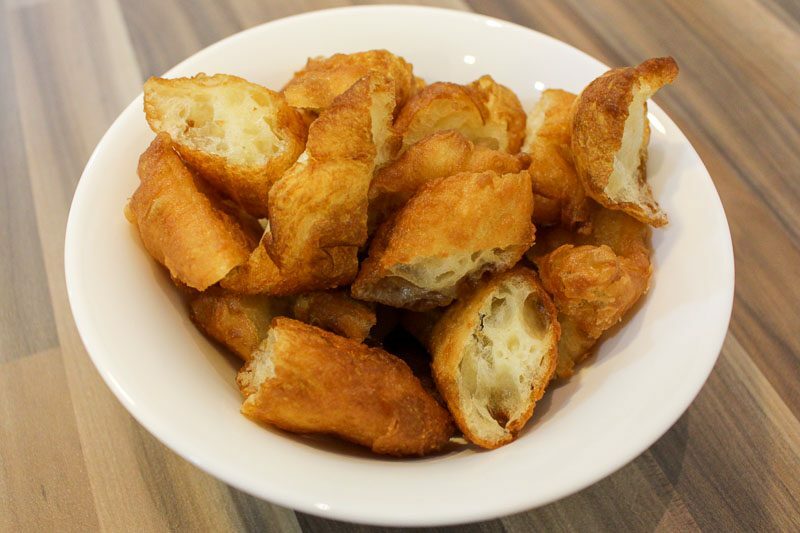 I have been disappointed countless times with stale youtiao but not this time. It was fresh and did not leave an oily residue. I later found out that they actually make the dough from scratch and fry them by batches daily. No wonder it tasted so good! Good Taste Bak Kut Teh serves Onion Rice (S$1) as well. Drizzled with shallots and shallot oil, it was fragrant even on its own. 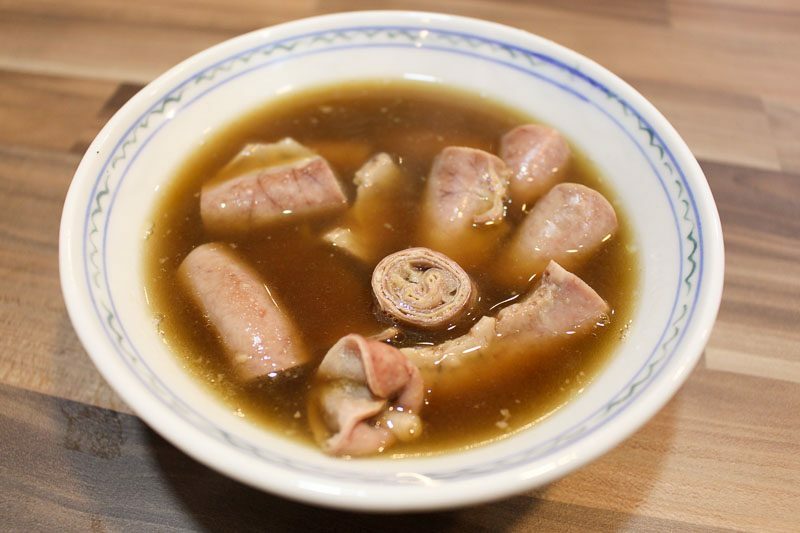 Have it with your bak kut teh, whether soup or dry, and enjoy the magical combination. Those who prefer noodles over rice, Good Taste Bak Kut Teh got you covered. The Sarawak Kolok Mee (S$5) was recommended to us by the owner, with the noodles specially made by his friend back in Sarawak. 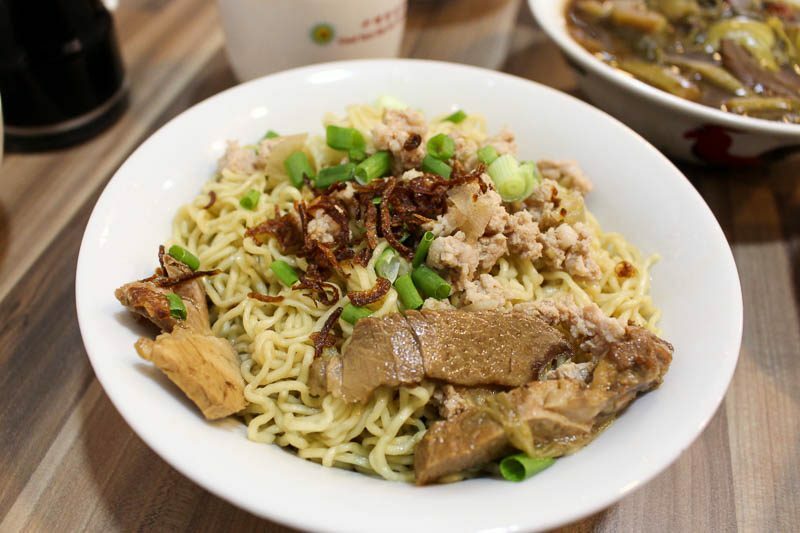 The noodles were served in a shallot oil-based sauce and it reminded me of bak chor mee. The noodles were very springy and held the sauce well. 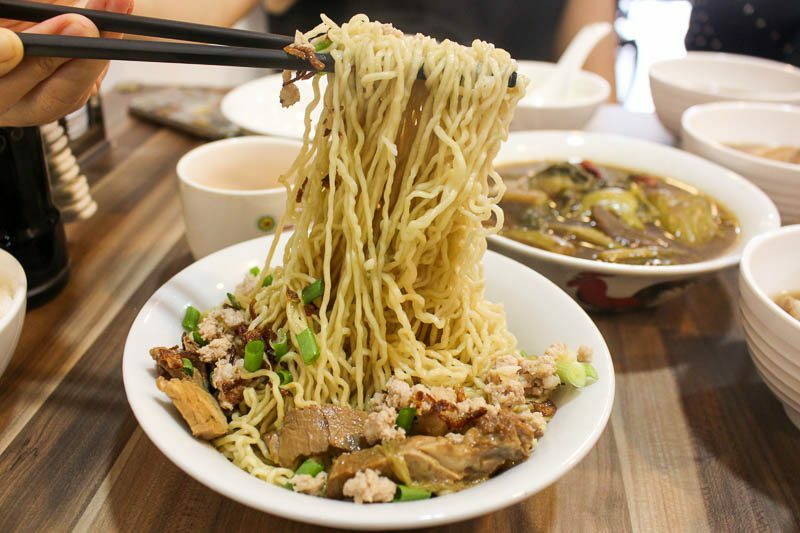 It is topped off with generous portions of ingredients such as minced meat, and came with a small bowl of soup with fish balls. This itself makes for a wholesome meal. I went to Good Taste Bak Kut Teh without high expectations, but I left feeling satisfied with a new opinion of the herbal bak kut teh. The meal provided a nostalgic and warm feeling as if it was my grandma who prepared it for me. Though it is slightly pricey, I am willing to pay a little more for quality food and comfortable ambience. 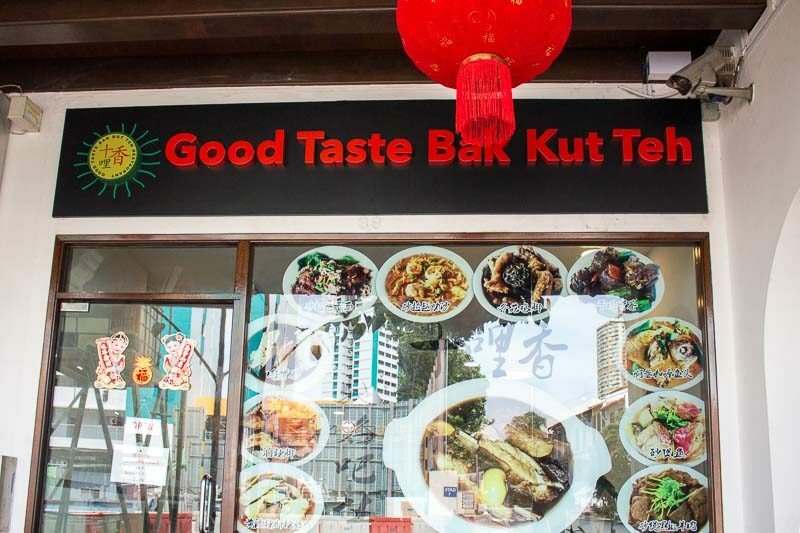 Good Taste Bak Kut Teh is opened till 11pm daily or until sold out. 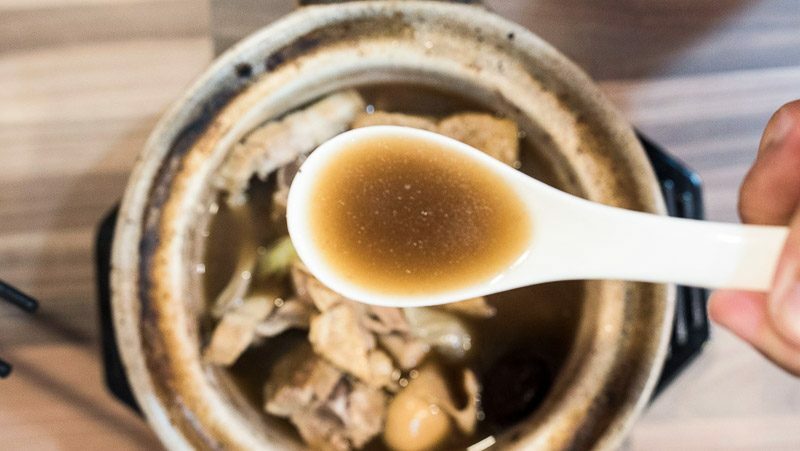 Do remember to head down early if you’re looking to get a dose of herbal bak kut teh whenever you are craving some warm, comforting soup!